Many options are available, and they are tailored to your specific requirements. If you need a replacement tooth while the implants are healing, temporary removable teeth or a temporary bridge can be made. 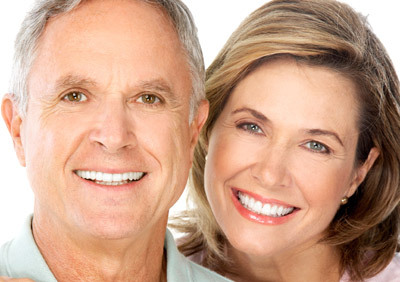 If all of your teeth are missing, we can usually modify your present complete denture or make you a new temporary denture. Depending on your particular situation, some implants can be placed and “loaded” immediately with temporary crowns. Although it is natural to be concerned about the pain that may be caused by these procedures, most patients do not experience severe or significant post-operative pain. Pain medication and antibiotics may be prescribed for you to make your recovery as easy as possible. Occasionally, some people develop post-operative infections that require additional antibiotic treatment. Implants can last a long time. Scientific literature shows a success rate of greater than 95 percent. Meticulous homecare and frequent hygiene visits to us are critical for long-term success of implants. Occasionally implants do not heal properly or fail over time which would require removal of the implant. Sometimes a new implant can be placed at the same time of removal.